In the last 20 years, Indian nationals accounted for more than 50% of all H-1B visas issued by the US, while all other countries put together had less than 50%. In all other major visa types, China leads all other countries including India. It was always expected that Indian Nationals who apply for a H-1B visa will be the hardest hit with Donald Trump becoming the President of the United States of America (POTUS). His decisions on H-1B visa norms are a huge concern for India as Indian nationals accounted for more than 50% of all H-1B visas in the last 20 years and more than 70% in 2016. In other types of visas, it is Chinese nationals who lead the way. As expected, Indian nationals lead other countries by a long way in H-1B visas. In the last 20 years, 26.5 lakh H-1B visas were issued out of which 14.09 lakh went to Indian nationals. This is a whopping 53.2% of all H-1B visas. Indian nationals alone have got more H-1B visas than all the other countries put together in the last 20 years. The share of Indian nationals has only increased with time. From 39.3% in 1997, the share has now reached 70.4% in 2016. 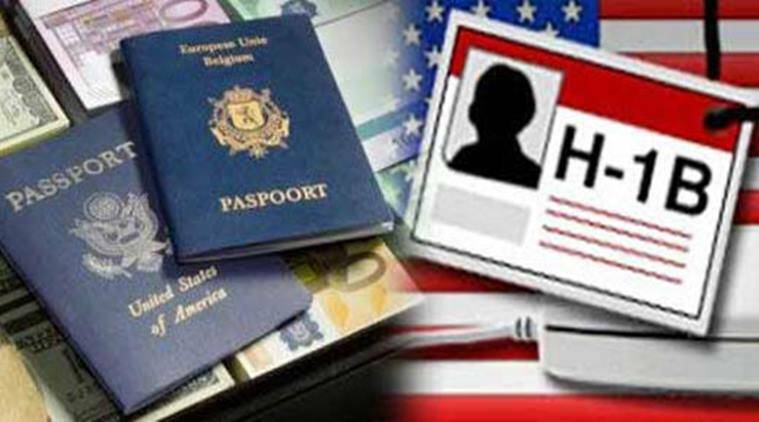 In 2016, Indians accounted for 1.26 lakh of the 1.8 lakh H-1B visas on offer. On the other hand, a country like China has accounted for around 12% of all the H-1B visas in 2016. In the last 20 years, Chinese nationals accounted for 7.5% of all H-1B visas which is less than 1/7th the number of H-1B visas to Indian nationals during the same period. It has to be noted that H-1B visas typically account for only about 2% of all visas issued by USA every year. Except for H-1B, the Chinese lead in all other major visa types. In case of F-1 or student visas, Chinese nationals accounted for 31.4% compared to 13.3% to Indian nationals in 2016. In the last 20 years, Chinese accounted for a quarter of all the F-1 visas while Indians accounted for 8.5% or 1/3rd of the Chinese. It is interesting to note that both India & China started with around 5% of all F-1 visas in 1997. During those years, Japanese and Koreans accounted for most of the F-1 visas. Over time, both Indians & Chinese increased their share. But after 2008, the Chinese really took off. From a 16.5% share in 2008, their share increased to 42.6% in 2015. F-1 visas to Chinese saw a significant decline in 2016. The share of Indians on the other hand increased only marginally from 10.6% in 2008 to 13.3% in 2016. F-1 visas typically account for about 5% of all the visas issued by USA. Even in the case of B-1,2 visas, Chinese lead the Indians by a long way. In the last 20 years, Chinese nationals accounted for 14% of all B-1,2 visas compared to 7% for Indian nationals. Same as in the case of F-1 visas, both China & India accounted for about 4% of all the B-1,2 visas in 1997. But after 2008, the share of Chinese increased significantly from about 9% in 2008 to 29% in 2016. India’s share on the other hand decreased from 9.2% in 2008 to 8.2% in 2016. B-1,2 visas account for more than 60% of all the visas issued by USA every year. Even in terms of the total number of visas issued by USA, Chinese nationals accounted for 21.8% in 2016 compared to 9.4% share of Indian nationals. Previous ArticleWhat explains the obsession with the 1971 Census?